After we explored a few caves with the help of monks, the rest if the day was filled with a trip to a less touristy floating village and a chat with one of the NGOs in the region. The village was far bike ride, but there we toured around in a small canoe and didn’t see another tourist in sight. It was just people doing their thing. Kids collected water from the tanks, people washed clothes in the lake, farmers brought home a few crops for the day – it was quiet and nothing special to the people living there, but it felt more real than anything from our tour the day before. 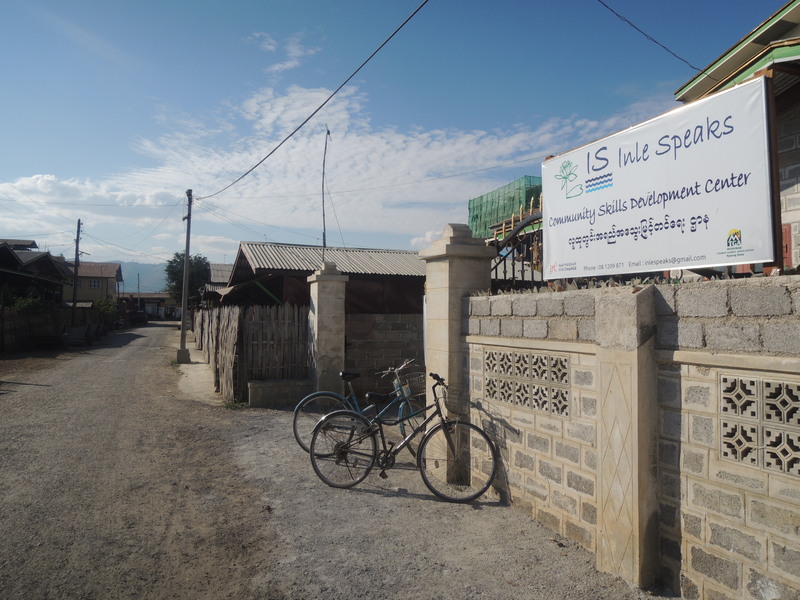 The NGO, Inle Speaks, was mentioned online so we stopped by for some tea and to learn about what they are doing on the ground. Projects included building a new school for the town since the old one was crumbling. They also trained the local community in skills related to tourism to ensure that income inequality could be minimized in the future. The gentleman we talked to sounded like he had given this talk before and sold it well. Interestingly, he described to us where our ‘Tourist Entry’ fee went for Inle Lake. 70% of the money we paid to get into the town went either back to the town or into the Tourism Masterplan fund that the government has been working on for a couple years. The new government appears to want to tap into the tourism market as a way of generating wealth for its citizens. It was really cool to learn and see the on-the-ground effort to improve the life of their community. The day was good for something so unplanned. Inle Lake offers tons of options for travelers from the trip out into the water or even a visit to the local winery.